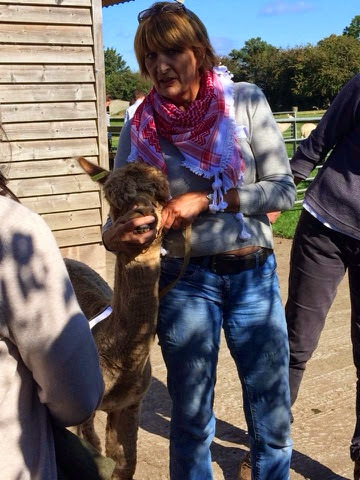 I had a wonderful weekend at Pure Alpacas this weekend tutoring the British Alpaca Society Foundation Course alongside fellow alpaca judge Val Fullerlove. 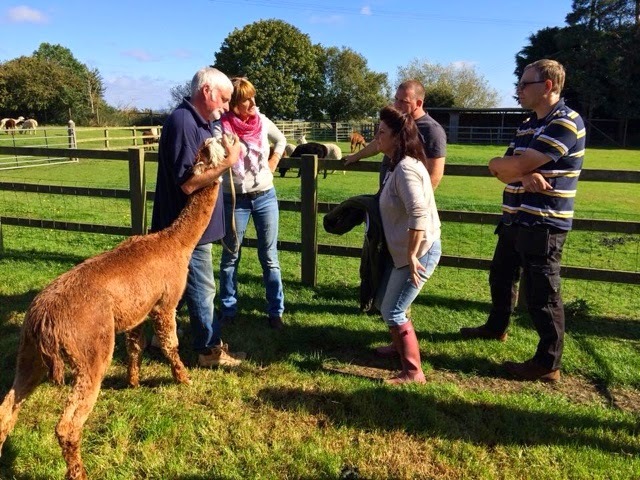 3 full on days of alpaca assessment and we loved every minute of it. 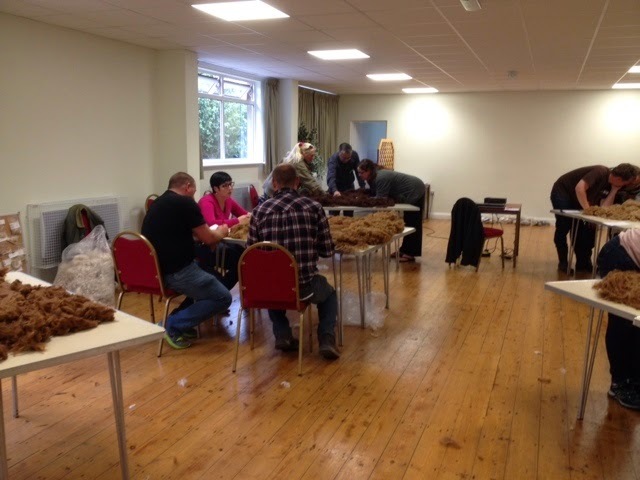 Course was full with 12 very committed and keen alpaca breeders for the UK and Europe. 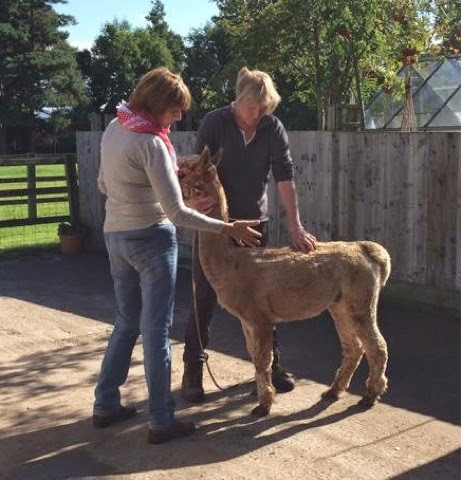 The days were filled with lots of intelligent discussion and appraisal as we assessed Form and Function, Huacaya and Suri Fibre both in the classroom and hands on with the Pure Alpaca Herd. 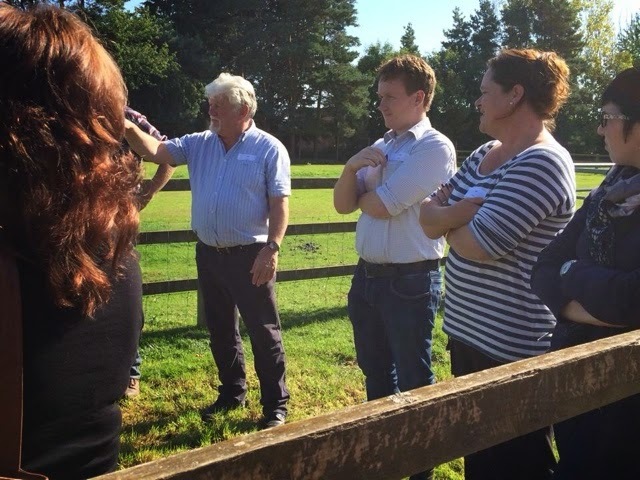 Handlers were a good humoured bunch, delegates open minded and keen, weather was amazing and the hosting excellent. What more could the judge tutors ask for? 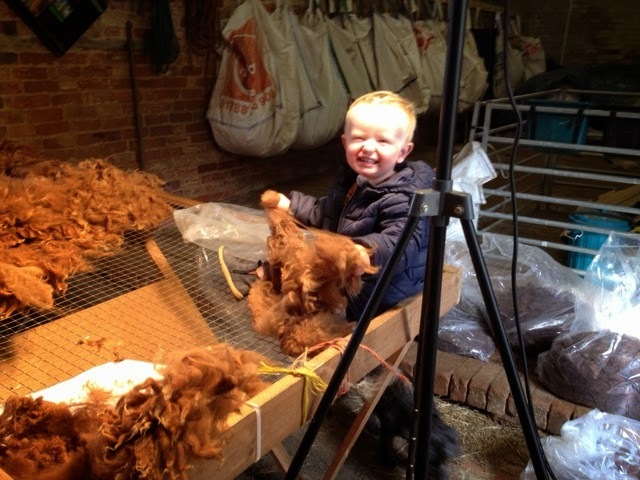 National Champion Brown Male of 2014 TOFT Timogen is working up his modelling technique as he matures ready for next season. 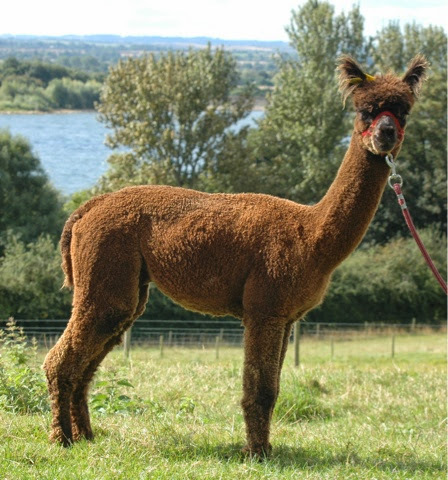 Ever since his first Fleece stats came back with an AFD of 14, SD 2.3, CV 16.3 and 0.1 >30, he's been readying himself for the catwalk with a sense of purpose. I think someone made the mistake of telling him he was elite- hey ho and here we go! 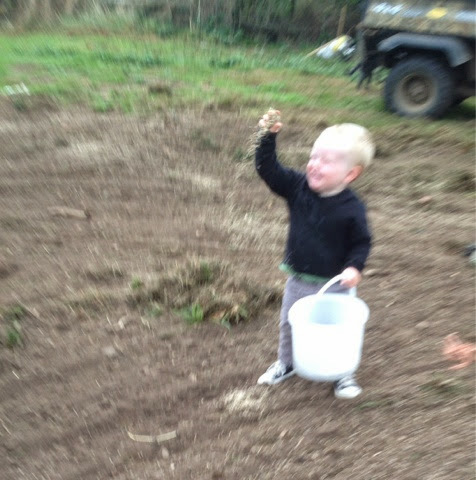 Is there no end to this boys talents. 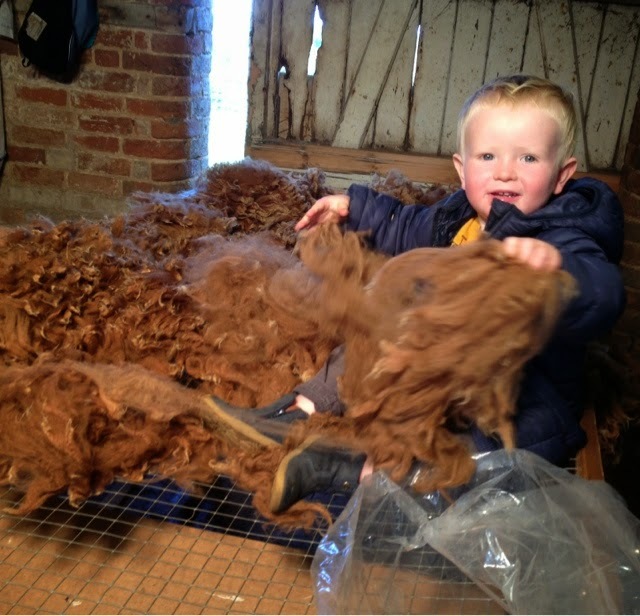 Lord Eddie was lending a hand in the sorting shed yesterday as we skirted the show fleeces for the Heart of England fleece show. 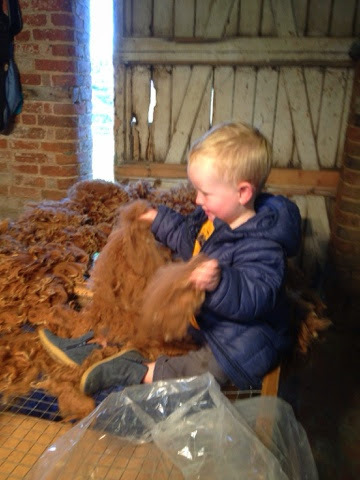 By the time this boy is two and a half he will be hired out to alpaca farmers at an exorbitant rate for despite his obvious skills his charm is priceless! 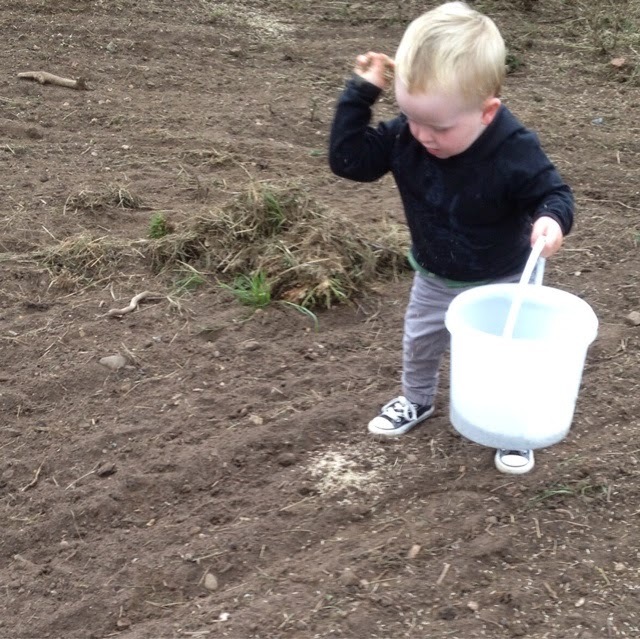 What a week, sowing grass, scanning, skirting? 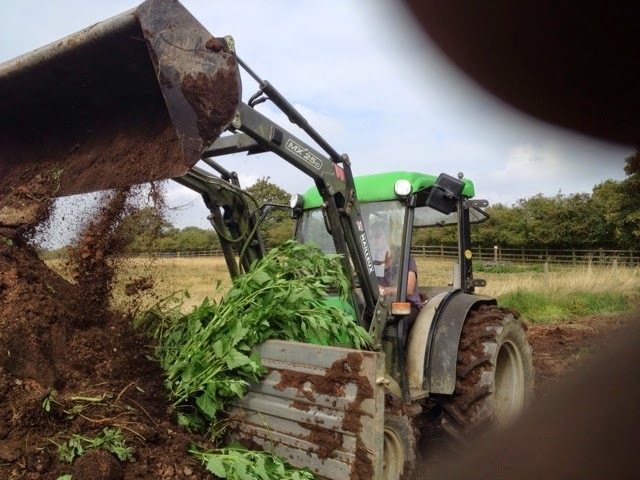 You can never say life is not varied at TOFT. 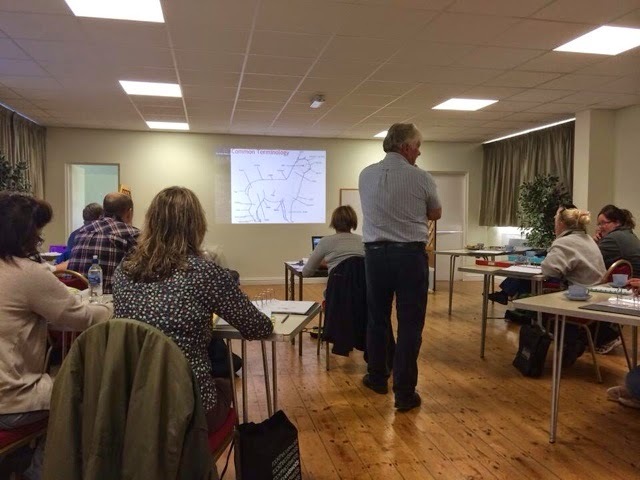 I'm off this morning for four days in deepest Worcestershire tutoring on the British Alpaca Society Foundation Course. 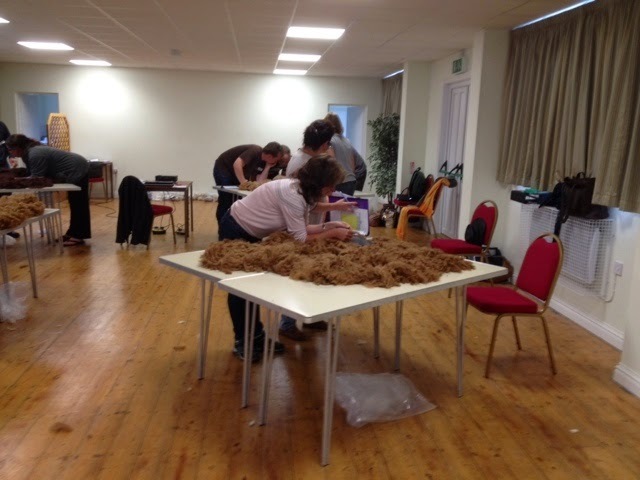 No rest for the wicked- Perfick! 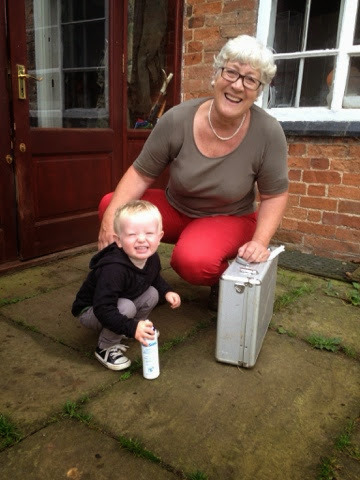 Sewing grass seed at the weekend now pregnancy scanning with Grandma. There never was a keener Ultrasound Gel Monitor... Lord Eddie is expanding his alpaca C V every day and loving it like a Wah! 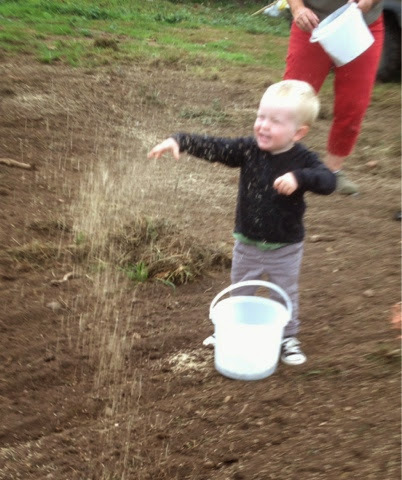 Here we have young Lordy, all of two years old, helping to sew grass seed in the new alpaca paddocks. Couldn't do it without him! The late September sun yesterday lit up the young stud males with a glow that was truly 'quad stopping'. The colours glowed like a New England fall and the phone camera had to suffice. There wasn't time to rush and get the real camera. The moment came and went and at least A taste remains of that autumnal glow amongst our young stud males. These elite young studs are really coming into their own now with the fleece outgrowing the shearing ridges. 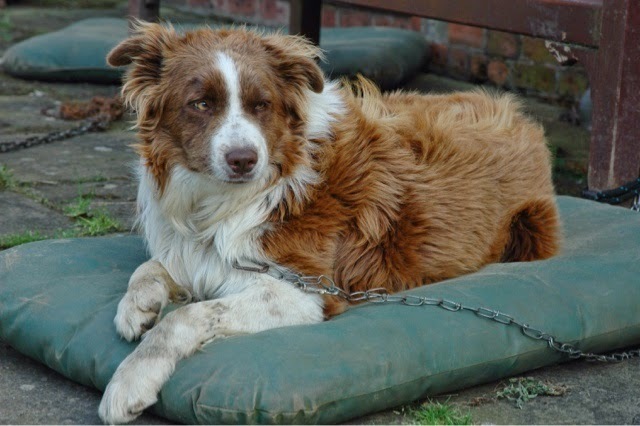 A number of these stunning males now grace the Toft website awaiting new homes. 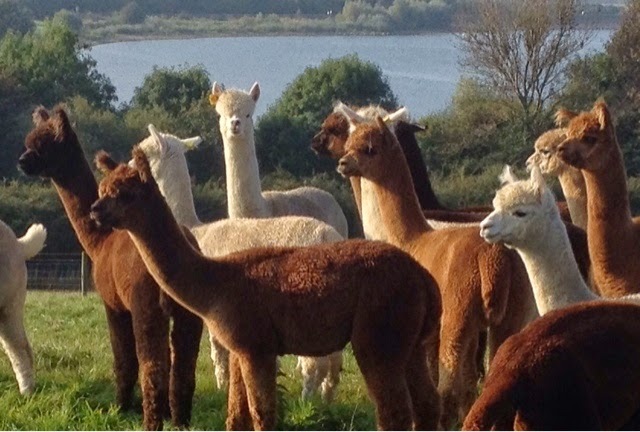 Frank and Jed -the Chosen Men of Toft Alpacas ready to go and inspect the alpacas on this fine and sunny late September day- Perfick! On the first rainy day in what seems like weeks - a little ray of sunshine from a glorious summer. A day to sample the best coffe and cake in downtown Warwickshire at the Cornflower Cafe! 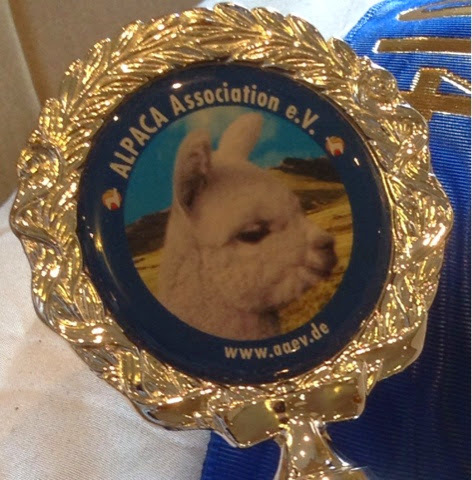 The Toft Alpaca judges were on tour this weekend in deepest Germany. 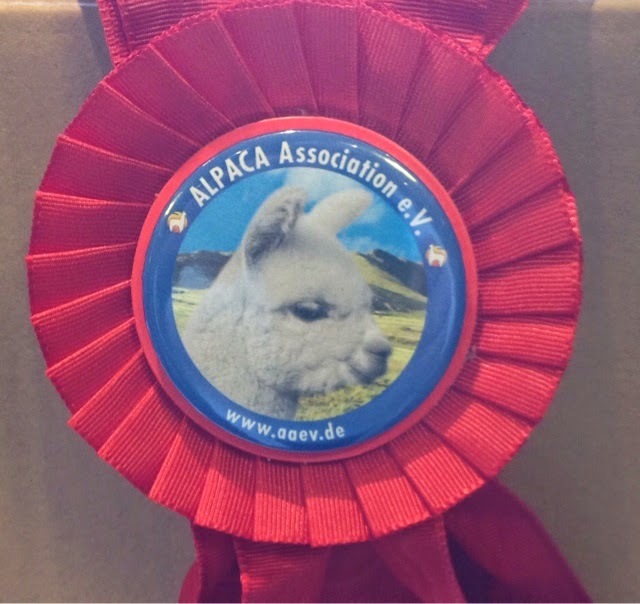 Planes to Frankfurt, trains to Erfurt and taxis to a small country hotel in Germany this weekend with 100 alpaca fleeces to judge. 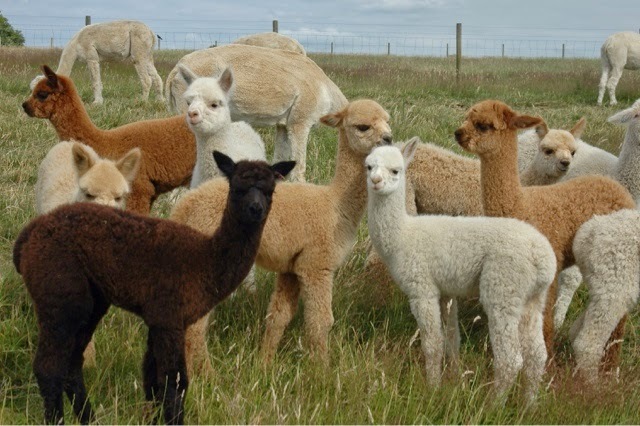 This was the first ALPACA Association e.v. 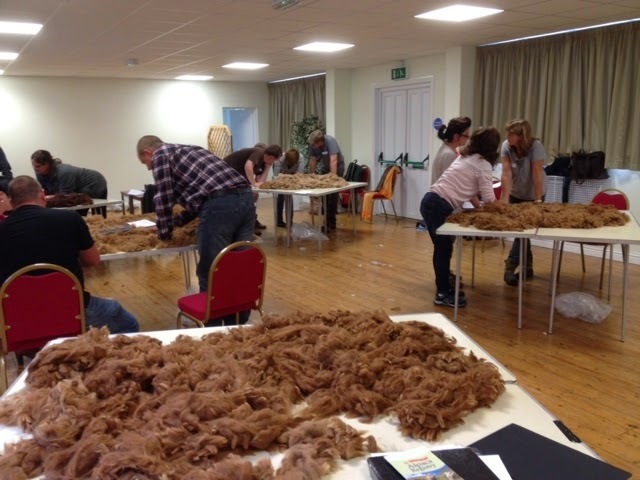 Fleece show which was a prelude to their association annual general meeting. 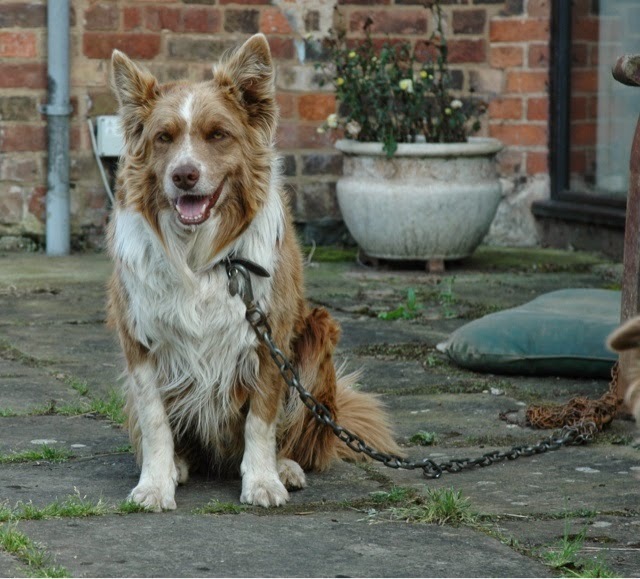 Naturally the show was well attended and thankfully the majority of breeders spoke some English which is just as well because Shirley and I have only a danke and auf wiedersehen between the both of us. The interpreters were fantastic and saved the day. Good fleeces all round, very fine with a notable lack of guard hair and fantastic 'keeper' rosettes. Supreme champ achieved 86 points and was a very well organised and consistent white intermediate fleece with a distinct lack guard hair and a good cutting weight. That's it, finally one of our top Australian girls, Maggie Mae gave birth to a stonking girl to go some way to evening up the score for the season but the boys won hands down this year. 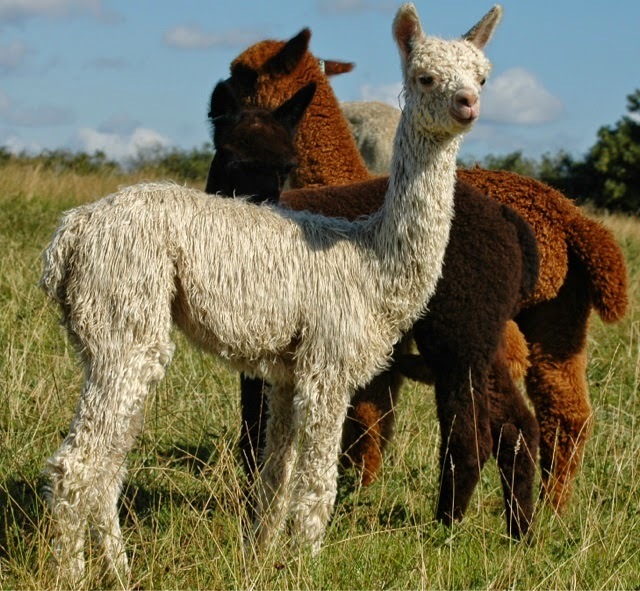 Fortunately the cria are of such a high standard across the board we could have a lot of potential stud males for sale in the next few years. Still that's up the line a ways. All the girls are done and dusted and we can now take some time to enjoy the progeny in what has been a remarkable summer here at Toft. It's called child exploitation but he is no longer a child but he is family. Bandido Scottino legendary Alpaquero is having to turn his hand to all the projects that need to get done in the dry before rain eventually stops play. 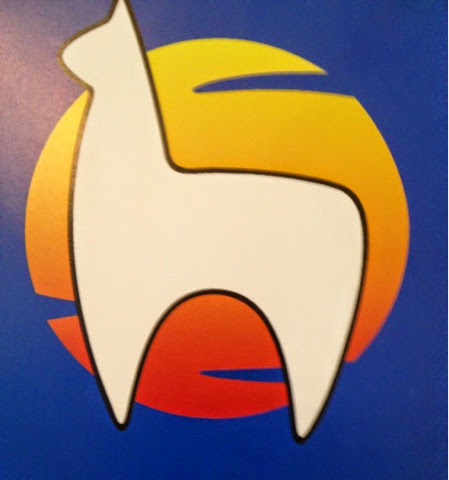 We are catching up with ourselves big time at Toft Alpacas fuelled by Cappucino and Cake at the Cornflower Cafe! 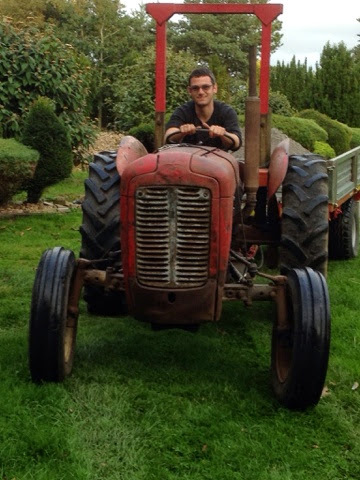 Yesterday we moved about 12 tons of old bonfire ash to a new location well away from the alpacas, freeing up about twenty hurdles. Day before we were repairing farm tracks next month will be fence work. 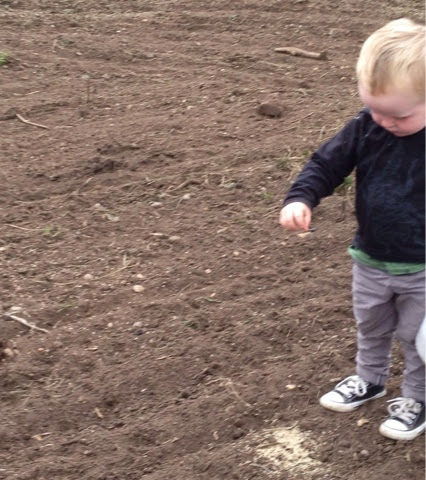 We might need some rain before then as the ground is taking on the consistency of concrete. For a change this is not the TOFT studio knitters on the rampage- far too bright and unsubtle for the classy crafters of Toft. No this woolly wonder was a feature at the Lodestar Music Festival last Sunday in Cambridge. 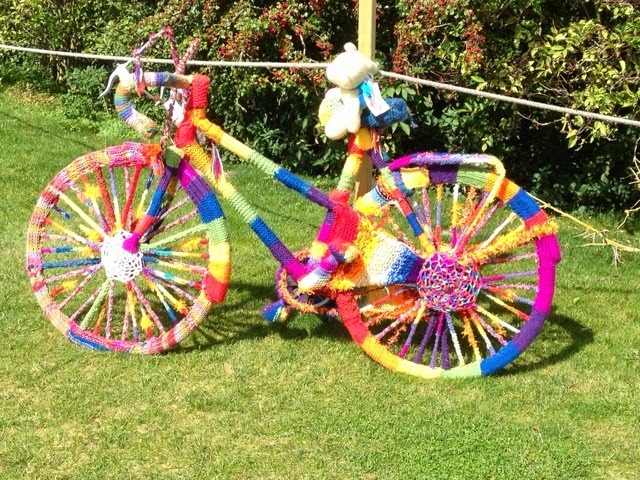 Remarkable amount of effort to make someone's bike unusable isn't it? Mind you, I wouldn't put it past those 'crafties'in the Toft Studio to give something like this a go. Best hide me Quad, methinks! 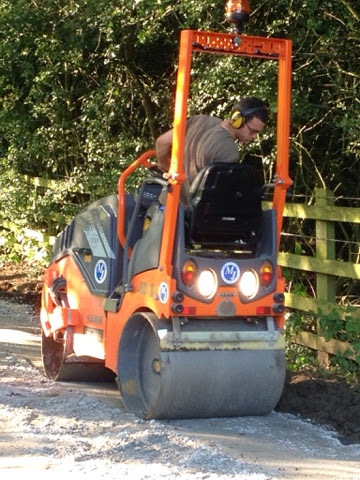 Busy week this week repairing and sorting. 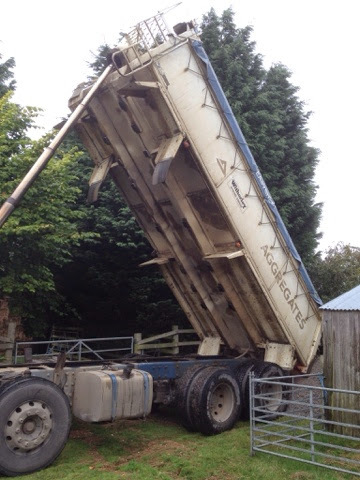 20 tons of MoT type one to fiddle in and roll into holes in the access roads around the farm to enable the great and good into the Toft alpaca Studio without negotiating puddles during the winter. 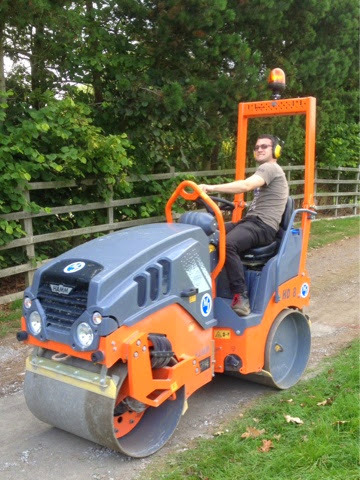 Big help, much appreciated, from Bandido Scottino the legendary Toft Alpaquero who has taken to the roller like he built the M 25!